The Best Scrapbooking Youtube Channels from thousands of top Scrapbooking Youtube Channels in our index using search and social metrics. Data will be refreshed once a week. About Youtuber Scrapbook.com is passionate about empowering beautiful, meaningful, handmade creation. Our videos feature product demos, free classes, scrapbooking and stamping tutorials, tips, techniques, interviews with designers, project ideas, and so much more. About Youtuber Christine shows you new techniques, products and tool demos all relating to the world of paper crafting and art journaling 2 times a week. Host of Scrap Time - we feature scrapbooking and stamping videos featuring new products, techniques and tools. Check back on Monday and Thursday for a new episode! Every video contains a tip or technique demo!! About Youtuber Follow the channel to find Papercrafting and Scrapbooking Projects. About Youtuber Hello, my name is Ginger. Scrapbooking for me is a great stress release and I wish there was more time in the day. Scrapbooking is so much fun to do and great for capturing a special “event” or holiday. I try to use what current supplies I have, yet being a paper addict is a little tricky for me and keeps my husband shaking his head. About Youtuber Hello i'm Johanna! I love making journals and doing all kinds of memory keeping/paper crafting which I share here on my channel! About Youtuber My name is Jennifer Harrison. I design and develop printable scrapbooks and mini albums templates for you to print and make with ease! All of my printable albums and templates are made by hand by me, not digitally! I am very proud of them and I am constantly working on a new idea to bring to you all!! About Youtuber My name is Nicole Jones. I have 3 Children, 2 girls (26 & 20) and 1 boy (14),and just newly a Namie of 1 Boy Feb 1,2013--- so proud. I've been working at an Ambulance Dispatch (9-1-1) centre for over 6 years now and in my free time I love to Scrapbook some call it an addiction LOL. About Youtuber Welcome to my Channel. You'll find tons of videos full of paper crafting ideas and inspiration to kick start your creativity, and all in the comfort of your own home. About Youtuber Hi! My name is Corene, I'm from Vegas. I love scrapbooking, smashing, making mini albums & pretty much anything that's crafty! I love making mini album, scrapbooking, card making, altering, smashbooking, painting, anything creative! I've been scrapbooking since I was about 15. You'll find a lot of "start to finish" videos. About Youtuber Hi, and welcome to my channel! I make Scrapbooking Process Videos and more to get you scrapping, documenting your stories, and having fun with your supplies. From scrapbooking layout process videos, to Project Life, scrap room tours and organization tips, I post videos of all my crafty adventures! About Youtuber Creative Memories offers you ways to enjoy and share your photos with friends and family through do-it-yourself scrapbook albums as well as Fast2Fab quick and easy albums. Shop CreativeMemories.com to find bookcloth scrapbook albums, seasonal embellishments, unique border makers and more. About Youtuber Hi, My name is Gabrielle Pollacco, I've been scrapbooking for about 10 years now and am on a number of manufacturers design teams including Websters Pages, Bo Bunny, Maja Design, Dusty Attic Designs and Scrap365 Magazine. I also am a sponsored designer for My Little Yellow Bicycle, Tresors de Luxe, The Scrapbook Diaries and have done guest spots for a number of kit clubs. About Youtuber Follow to find video tutorials on card making and scrapbooking. About Youtuber Hi there... thanks for stopping by to visit my crafty channel. I mostly like to share my latest creations but from time to time do offer turtorials also. I belong to 5 design teams and create everyday, most times about 6 to 8 hours a day, so I have LOTS to share. I hope you will come by and be inspired and enjoy what I spend my time doing. About Youtuber My name is Adele and this is my channel devoted to Project Life and all things scrapbooking! About Youtuber Hey crafty cutie! This channel was created to share inspiration and share ideas on being creative. Junk journals, crafting & more! About Youtuber You'll see a few things crop up often, like Sketch to Scrapbook Page videos that illustrate my scrapbooking process and my monthly 'Best of Both Worlds' product picks for creating scrapbook pages and cards. About Youtuber Each video segment runs about 5-15 minutes and features the latest products, techniques, ideas and instruction—all at the click of a mouse. Get inspired at PaperWishes.com for card making and scrapbooking projects, amazing stamps, scrapbook papers, cutting dies, scrapbooking supplies & more! About Youtuber Hello everyone!!! I'm only learning to work with videos (after posting mainly photos of my handmade cards) . Besides cards I LOVE to create mini albums and for having a look inside a mini album it's always better to watch a video. So this is how this channel was born. About Youtuber I have been crafting since I can remember. Actually my mom and I used to go to classes when I was little. I learned how to make pipe cleaner bird cages when I was about 7 lol. Really great memories that I cherish. So you could say my mother has been my inspiration. About Youtuber Hi! My name is Wilna and this is my channel with art journaling and scrapbooking tutorials and creative process videos. Wilna is a neo-expressionistic painter turned scrapbook and digital designer who has spent years applying her background in fine arts to her passion for preserving memories. She as been working in the Scrapbooking Industry for 11 years. About Youtuber Follow to get ideas on crafts, scrapbook layouts, demos and much more. About Youtuber The exploration of anything crafty, but mostly paper crafts. I got away from card making and scrapbooking altogether for several years. I am back, and..WOW...I am enjoying all the changes, new techniques, and new equipment out there. Starting my journey all over again. About Youtuber Scrapbook & Cards Today (SCT) is the first scrapbook and cards magazine. Follow the channel to get ideas to enhance your creativity. About Youtuber My name is Adele and I am Inkie Quill! I have two YouTube channels: Inkie Quill & Let’s Get Inkie which along with my Facebook Group Scrapaholics Anonymous gives me the opportunity to meet so many amazing and talented scrappy ladies (and gents) around the world! About Youtuber All my tutorials are free to watch so you can get inspired of it just like i do from youtube. I have my own methods on crafting wich i like. I understand that that is not working for every single one of you but thats how it is. I like it , go with the flow and let the papers guide you true the process. About Youtuber I'll be sharing process videos of scrapbooking layouts. I'm a traditional 12*12 scrapbooker, I love color and rainbows on my pages. Sometimes things get a little messy, but that's part of the fun. About Youtuber All about Scrapbooks and handmade crafts! I have been crafting for over 14 years!! I have a passion for making handmade scrapbooks and cards! It's been awhile but I have been published in scrapbook magazines and just recently had a RUSH of creativity!! About Youtuber Thank you for visiting the Kat Scrappiness YouTube Channel! Please be sure to subscribe for weekly tutorials, card process videos, new product intros, hauls and more! Happy Crafting! About Youtuber Scrapbook EXPO the Premiere Scrapbook-Paper Crafting Show travels around the US. Stamp & Scrapbook Expo Shows and Weekly Scrapper attract Paper Crafters, Stampers, Card Makers and Scrapbookers. About Youtuber Videos of Studio Calico. A Scrapbooking kit club, manufacturer, community, scrapbook online store and more. Come see us for all things scrabooking: design team gallery, albums, pages, kits, stickers, organizers, quotes and sayings, layouts, die cuts, and, you guessed it... more! About Youtuber I am happily married for 32 plus years and have one daughter. I help my husband in his family owned and operated body shop. I love scrap booking and fairly new to it, only starting in late 2011. I am looking forward to creating and getting ideas from youtube. About Youtuber Here you will be able to peruse at your leisure my wide variety of books and journals. The journal designs, names and concepts I share for the benefit of my customers are exclusive of Nik the Booksmith. About Youtuber Follow the channel to know more about Scrapbooking. About Youtuber Your place for Tim Holtz, Graphic 45, Sizzix, Ranger Ink, Prima Marketing, Dear Lizzy, Memory Box Die cutting, Crafter's Workshop, Crate Paper, BoBunny, Simple Stories, Webster's Pages, Pink Paislee, and many more! About Youtuber Hi, I'm Sami, a totally obsessed paper crafter! On this channel, I share project tutorials & other crafty related videos on Wednesdays & occasionally more throughout the week. About Youtuber Sharing scrapbooking tips and techniques as well as "How to" videos for scrapbooking with the Cricut Design Space and the Cricut Explore I recently purchased the Cricut Explore and I am scrapbooking and card making almost every night. I am bringing my learning experiences to you in the videos that I am adding to my channel. About Youtuber Hi, my name is Marilyn and I love scrapbooking! About Youtuber Find videos on box cards,scrapbooking process and much more. About Youtuber Hello! My name is Paige Taylor Evans and I love to make something every day - whether it's a scrapbook page, coptic book, mini album, painting, or a card, I love to CREATE! About Youtuber Hi, everyone! My channel is all about scrapbooking and my process of creating projects. The links to my gallery, design teams, Instagram and Pinterest are all located on my blog. About Youtuber Country Craft Creations is a channel where you will learn techniques to build your own mini albums, cards and altered projects. We specialize in mini album tutorials but you never know what we may come up with. Tutorials are always free! About Youtuber My name is Terry and I love to create and paper is my favorite medium. I came to YouTube to share my work and meet like minded people. I make and sell scrapbook photo albums. About Youtuber On this channel I will feature scrapbook process videos, hauls, tutorials and more! I love scrapbooking & all things paper crafting! And I love sharing the amazing art of scrapbooking and memory keeping through online and in-person paper arts education. I’ve been scrapbooking for a better part of 12 years. Scrapbooking is merely a vessel for our stories to live on for generations to come. About Youtuber I am a mother of 3 wonderful little boys and 1 beautiful baby girl. I enjoy crafting of all kinds but I have taken a shine to paper crafting and journal making. I love learning, trying new things, and I hope to only improve as a person and crafter along the way. About Youtuber With my channel I would like to share my passion for scrapbooking and hope to inspire others. I love to use creativity to treasure those special moments in life. I love to make scrapbook albums, mini albums, loaded envelopes and lots of other stuff. About Youtuber Homemade decorated scrapbook without the work. Just add your own photos for an heirloom quality keepsake. About Youtuber Let's make some meaningful things together. Join my channel now for weekly scrapbooking, card making, and paper crafting videos. About Youtuber I love to do crafts! Scrapbooking, stamping, cross stitching, and painting are among my favorites. About Youtuber Hello! My name is Heather and I am a crafter of all sorts! (mostly Scrapbooking) I am currently on Paper House Productions design team, Memory Lane Design Team and Cheeky Studio Design Team. I share my passion for paper crafting here on my channel! I hope you will join me on my paper crafting journey! About Youtuber The channel focuses on crafty projects such as scrap booking, project Life, mixed media, art journaling and haul videos. About Youtuber I created this channel to share my layouts and the process involved in creating them. About Youtuber Follow to stay updated for scrapbooking process, Kit videos and much more. About Youtuber Sharing my process and love of scrapbooking the everyday moments. I provide detailed descriptions of techniques and explanations on how my design is based on my choice of products used. I also share the stories of my photos and why they are important for me to document. About Youtuber Follow the channel to get an insight into scrapbooking and other crafty things. I have been scrapbooking for over 10 years and that is mainly what you will see on my channel and some other crafty things here and there. About Youtuber Hi, I'm BEA Valint and welcome to My Shiny Studio! Come along with me and my family on our journey around memory keeping, photography and paper crafting. About Youtuber Subscribe to the channel to find scrapbook layout process videos, Project Life Process videos, tutorials, kill-a-kit videos, unboxing videos, and more. About Youtuber Here I'll be having fun making scrapbook pages and talking all things crafty! I'll be showcasing the projects I've been working on and having a blast being a nerdy girl conquering the crafty world! About Youtuber Learn to Scrapbook Using Your Computer and how to create beautiful scrapbook pages using Photoshop Element. About Youtuber Hi, My name is Sampada and I am from India. I am a Software Engineer turned Crafter. Scrapmee is my startup and now I am a full time crafter. I love make scrapbooks and also take classes for Scrapbooking (basic/advanced), Decoupage, Mixed Media, Sospeso etc. Scrapmee Collection brings you variety of paper crafting and Scrapbooking ideas. I hope you all will love my projects and get inspired. About Youtuber Follow the channel to find ideas on scrapbooking and mixed media. About Youtuber All things crafty and creative. We are breaking all the rules, making huge messes, and documenting this crazy life! About Youtuber Hi!! Here you will find tutorials shares and lots of energy - unique handmade albums! About Youtuber Here you will find FUN tips, tricks and tutorials to help you create beautiful and meaningful scrapbook pages. Scrapbook Wonderland is your dedicated resource for tips, tricks and tutorials to make scrapbooking more. About Youtuber A place to share bits of my papercrafting journey. About Youtuber On my channel you will find all kinds of papercrafting fun! I love to create scrapbook pages, cards, and a collection of other things as well...if it can be made with paper, there is a good chance I will do a video about it at some point! About Youtuber Here you can view videos of digital scrapbooking, card making and crafting ideas... watch How To craft video tutorials and see video releases of our digital scrapbooking kits, card making kits and digital crafting kits. About Youtuber Subscribe to the channel to enjoy scrapbooking process videos. About Youtuber Find amazing scrapbooking process and sketches on this channel. About Youtuber Something Beautiful For Everyday. We strive at Bella Blvd to enable you with products that will increase your creative desires of memory preservation through scrapbooking and paper crafting for future generations. About Youtuber Channel created to share my process while scrapbooking with tips, tricks and tutorials as I go. Many of these videos are related to Cocoa Daisy kits however as I grow more comfortable with this there are likely to be more and more non-kit related goodies to share. About Youtuber I am Flóra Monika Farkas from Hungary, living in Slovenia. I was making cards with different techniques since my childhood. I have started to do it more serious since 2012 when I got my Sizzix. I passionately scrapbook almost every single day, this became the part of my life. About Youtuber Lisa Kingston Is a Mom, Scrapper, SpiegelMom Scraps and Ink Road DT member!! About Youtuber Follow the channel to find interesting videos on Scrapbooking. Scrapbooking, creating beautiful things, documenting our life in an alpine paradise, and giving all glory to God along the way! 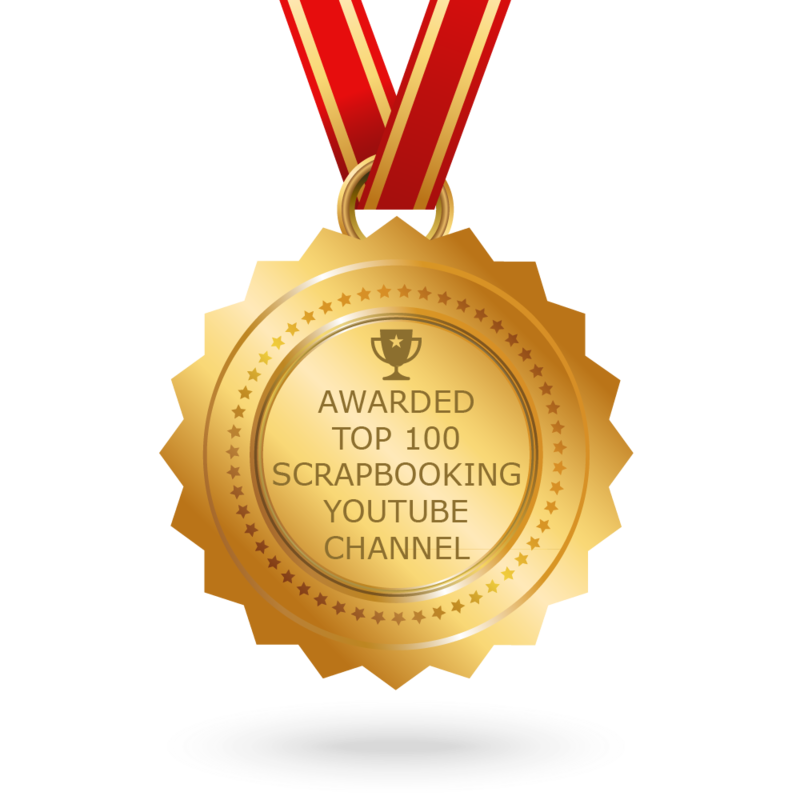 CONGRATULATIONS to every youtuber that has made this Top Scrapbooking Youtube Channels list! This is the most comprehensive list of best Scrapbooking Youtube Channels on the internet and I’m honoured to have you as part of this! I personally give you a high-five and want to thank you for your contribution to this world.